make huge strides for your business. Mia is a travel agent, helping globetrotters make their dream vacations come true. She collects and stores credit card numbers and other sensitive information of her clients using our form. She has peace of mind doing these transactions, knowing that the data is stored securely in our Vault-protected platform. Luke helps homeless dogs in his city find their forever home. He sends interested paw-rents application forms so he can guarantee that they are the perfect match for the dogs. His friends volunteer to help take care of the dogs, while the forms make the “paperwork” more manageable. All these make the adoption a sweet success. Amber sells cookies and cupcakes. What keeps her in control of her day-to-day tasks is the power of automation through online forms. Her customers just order and pay online – anytime, using their smartphones. All she needs to do is prepare the yummy goods! 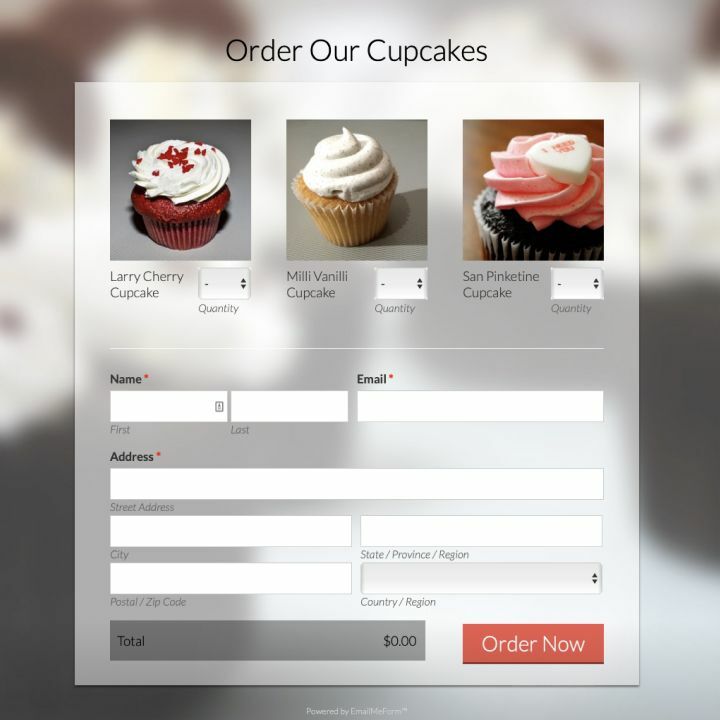 Need a custom-built form for your business? Our CustomWorks Pro package includes custom form design solutions and workflow integrations. We would basically create and set up a form you – any kind of form! Sierra is an events planner. She handles everything – from registration to collecting payments to even selling souvenir apparel – using online forms. 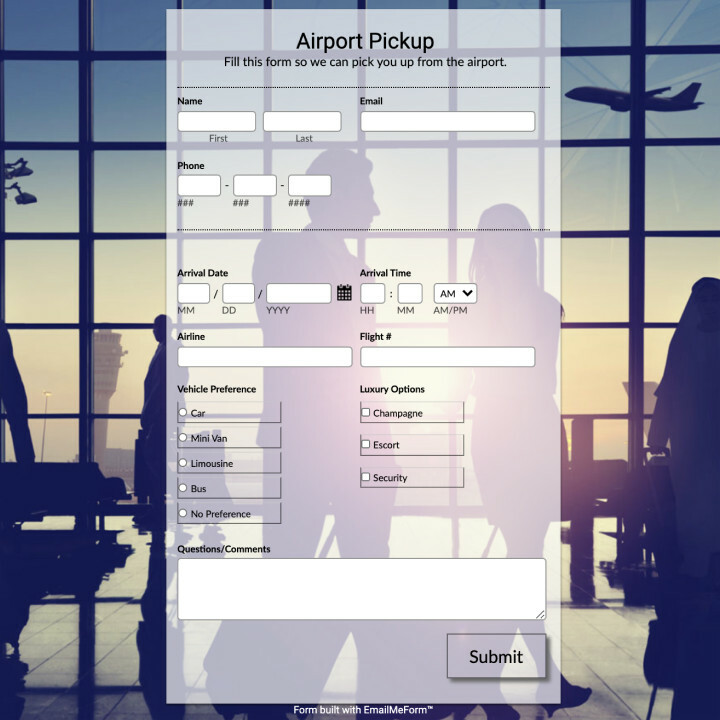 Our one-stop form builder stop has made her life easier and more organized. I absolutely love EMF. It has made my life so much easier and my business is flowing like a well-oiled machine. Your online form/surveys were easy to use, worked very nicely for our business purposes and generated good audience feedback. Most importantly, you had very responsive customer service and fixed my issues very quickly. Relatively easy to use. Can be as extensive or as simple as you want to make it. Can be used for a range of different purposes – not limited. Fred is a professor at a prestigious university. With thousands of students to manage, Fred turns to online forms for help. 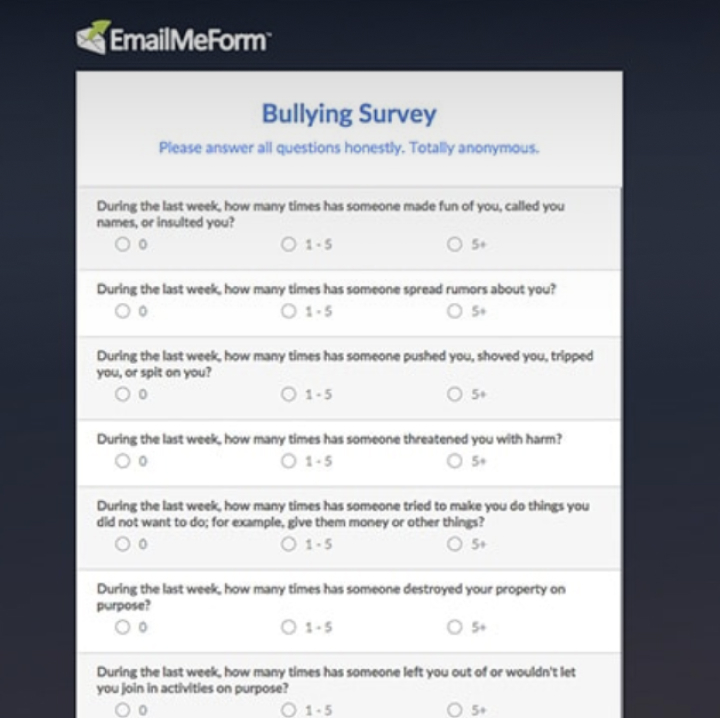 The pre-made templates help him carry out student surveys and exams faster. They were able to reach all kinds of the student population because of its easy distribution. 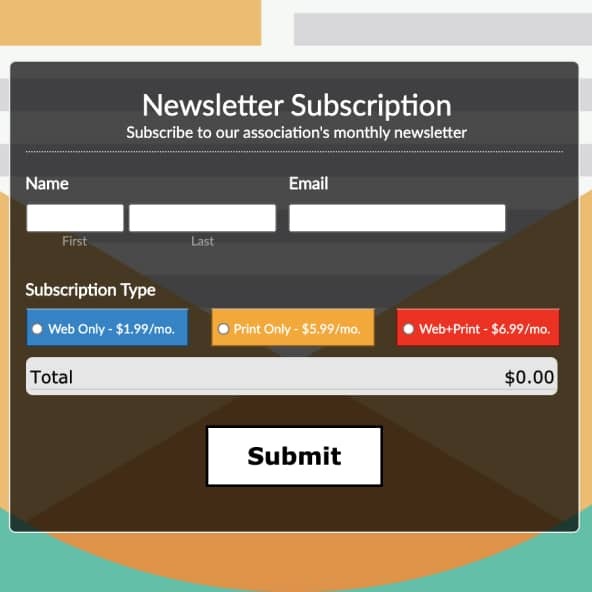 We use EmailMeForm for EVERYTHING and it is far and above every other online form builder. And I've tried them all! 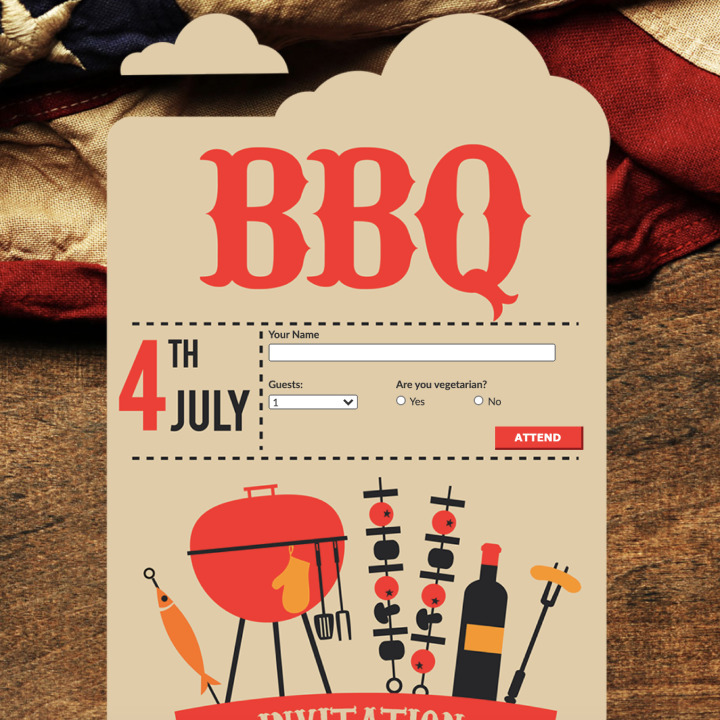 I have been able to streamline several complicated workflows... because of EmailMeForm. EmailMeForm is simple to use and set up, and all the logic functions and notification options are brilliant! 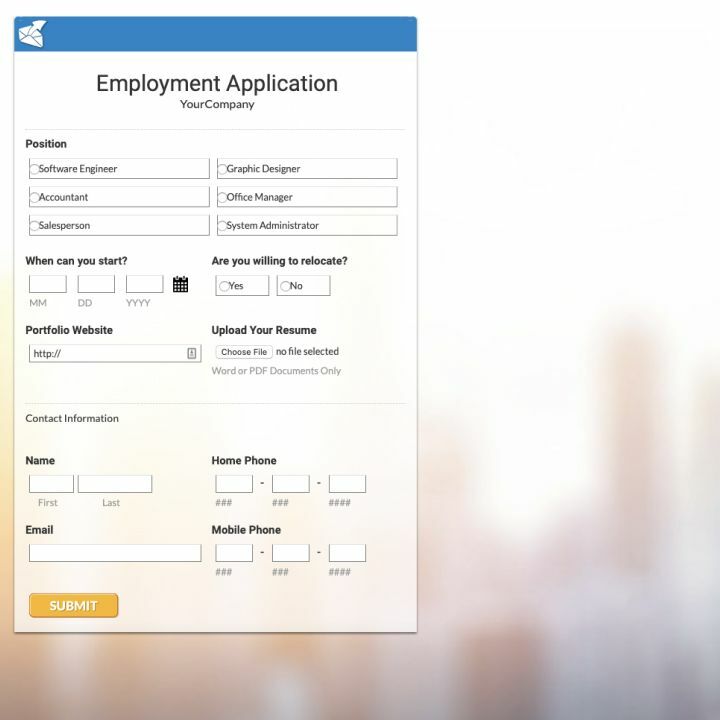 I'm able to produce professional looking forms and questionnaires easily and quickly! Needless to say, we love this product! We are using the service for volunteer sign up and other activities related to our volunteer team. I have found the platform to be much more user-friendly than other platforms. John and Jamey are part of the marketing and sales department of their company. They use online forms to capture leads, do market research, and get customer feedback. Using these data, they develop strategies that enable them to attract more leads and increase their revenues.